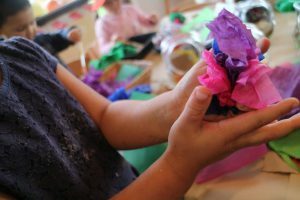 As adults we often remember a structured style of learning, from our kindergarten experiences right through to primary school. And as parents, we want to ensure that our children receive a valuable and rich education that incorporates maths, language and literacy concepts. In fact, children learn the same lessons through play, if not more. 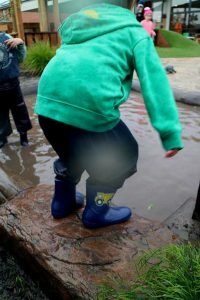 Within play based learning experiences, children are exposed to the foundations of concepts such as maths, science, problem solving, language and more all while enjoying learning experiences that are meaningful to them. 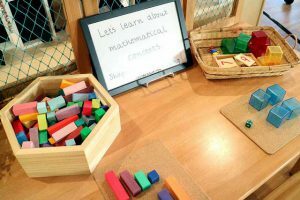 Mathematical concepts such as height, balance and weight are frequently discussed and learnt when building with blocks! When the home corner is transformed into a cafe, literacy concepts are learnt while writing the menu and cafe signs! Science concepts are introduced when working as a group to make play-dough, mixing the ingredients and watching what happens when food dye is added! 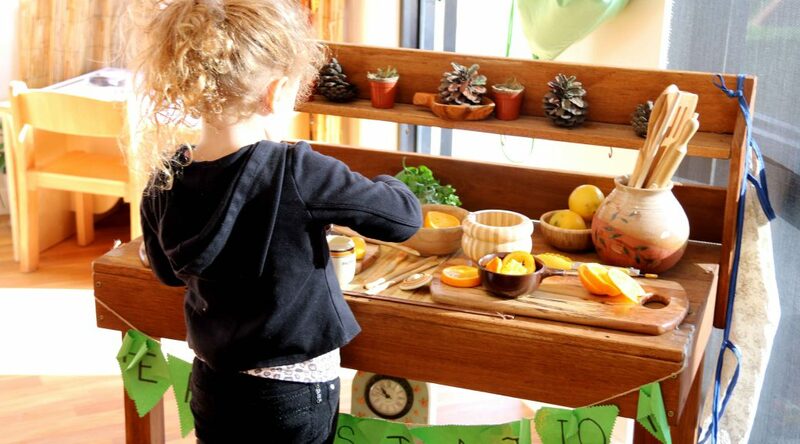 During play, children can practice new skills multiple times in an unhurried manner. 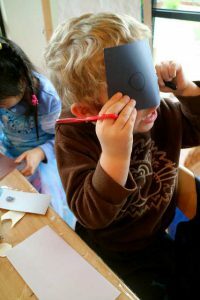 Children are able to pace themselves and build on their own unique experiences that they can then apply into other settings. In play there are no right or wrong ways to do things! This means opportunities for trial and error where children have the freedom to participate in experiences they enjoy, building on their confidence through their successes and accomplishments. Social skills are so important, in particular in kindergarten whilst preparing for the first year of school. In play scenarios children learn to negotiate and read social cues, working together, taking turns, sharing and developing effective communication methods with their peers! Knowing at school its likely there will be less adult interaction, especially at recess and lunchtime, these lessons are extremely valuable for young children. We love answering questions about play based learning. To book a tour of an Explorers centre, please contact us by following the link below or calling us on 1300 000 335!